Looking for a recruiting software to take your agency to the next level? What Makes Bullhorn's Recruiting Software Different? Bullhorn works the way you work - so you can stay connected anytime, anywhere. Bullhorn alerts you of potential issues in real-time so that you can take action immediately. Bullhorn captures every interaction so you have insights into your key accounts. Today's recruiters are fast-paced and always on-the-go. Your recruiting software should be built to keep up with you and make your job easier. 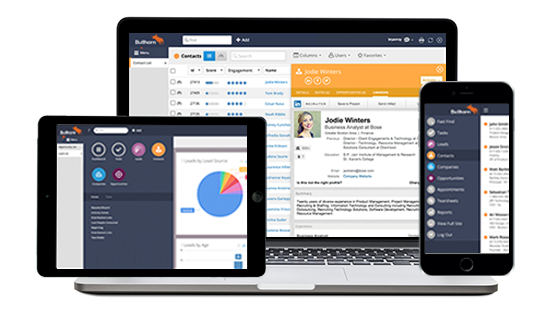 Bullhorn offers a recruiting database software that lets you view and edit candidate records, create notes, and access placement data on any device at any time. Don't waste your time with slow recruiting software. Bullhorn offers a web-based recruiting software that will get you operating at maximum efficiency and help you increase placements by up to 43% to drive business growth. 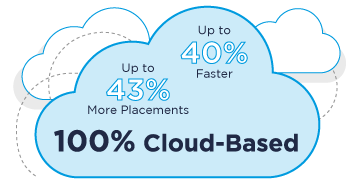 Bullhorn's cloud recruitment software automates the time-consuming tasks that take up hours in your day. Bullhorn works behind the scenes to track all your email activity with a candidate or client so that you will never miss a conversation. With real-time updates to your record, you always have a complete view of your interactions and relationships.